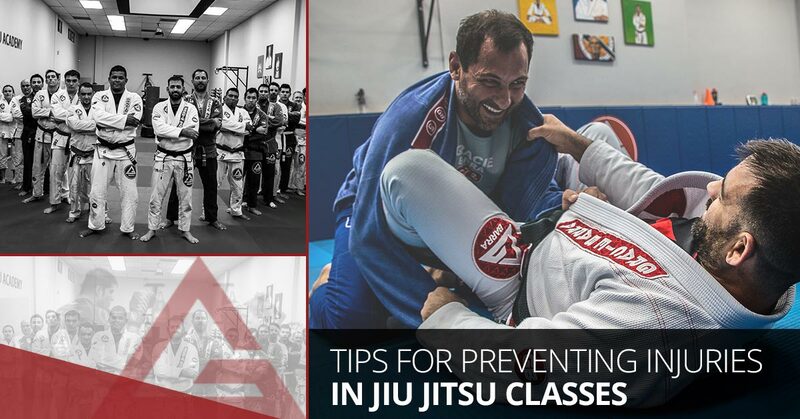 The following are tips from our jiu-jitsu trainers at Gracie Barra Santa Barbara on the best ways to prevent injuries during your jiu-jitsu classes. “Jiu-jitsu is a marathon, not a sprint” is the best way to sum up the process of learning the complex techniques behind jiu-jitsu while withstanding injury, and it has become the mantra of many older upper belts at jiu-jitsu gyms nationwide. They did not get to where they are in their training after just a few jiu-jitsu classes and neither will you. So don’t attempt to tackle any techniques your body is not yet accustomed to or jump onto the mat to roll with someone far more experienced than you. When it comes to competing in Brazilian jiu-jitsu, you have two choices: either you tap out and fix your mistake in your technique for next time or you can try to force your way out of a tight submission and more than likely injure yourself in the process. This is what is so wonderful about jiu-jitsu — a loss does not mean that nothing was gained from the experience. You don’t have to push yourself to the point of injury in order to effectively train and improve. Never simply use brute force in order to make up for lack of technique. You will likely injure yourself or perhaps even your training partner in the process. You also learn nothing from the experience by trying to overpower your opponent and become “that person” in the jiu-jitsu class. How do you avoid this? It’s simple — if you find yourself stuck in a position, learn the proper technical way to keep moving forward from there. Jiu-jitsu is an incredibly technical sport and there are a multitude of different ways to deal with any given scenario without trying to use muscle to power yourself out of a tricky situation. Never go into a roll without at least breaking a few sweats in warm-ups prior. The drills you participate in at the beginning of your jiu-jitsu class are there for a reason. This is a common cause of injury as many people come into their jiu-jitsu class after long periods of prior inactivity, whether it be sitting in Santa Barbara traffic or in work meetings or both. This means your body’s muscles are tightened up, which can easily lead to a strain or sprain if not properly loosened up prior to getting into your movements. While it may be hard to control your inner desire to move like a ninja on the mat, the most common injuries that arise in jiu-jitsu classes are acute (sudden) injuries. These are sprains (damage to a ligament) or strains (damage to a muscle or tendon). If you are too quick to power into your moves with an unnecessary amount of torque, you can easily fall victim to either of these types of injuries. Tape will undoubtedly become one of your best friends as you move up the ranks and advance in your jiu-jitsu training, and every cent you spend on it will be well worth it. Especially if you train often with your gi, your fingers can take quite a beating, and if you don’t want to deal with arthritis when you get older, tape is going to be a lifesaver for you. While your fingers might seem like the least of your worries when it comes to potential jiu-jitsu injuries, try rolling around on the mat with a broken finger just once and you will realize just how much you need healthy hands more than you ever could have imagined. We hope that you will take these tips into consideration when attending your jiu-jitsu classes, and if you are looking to enroll in one, contact Gracie Barra of Santa Barbara to get started or schedule your free intro lesson today.